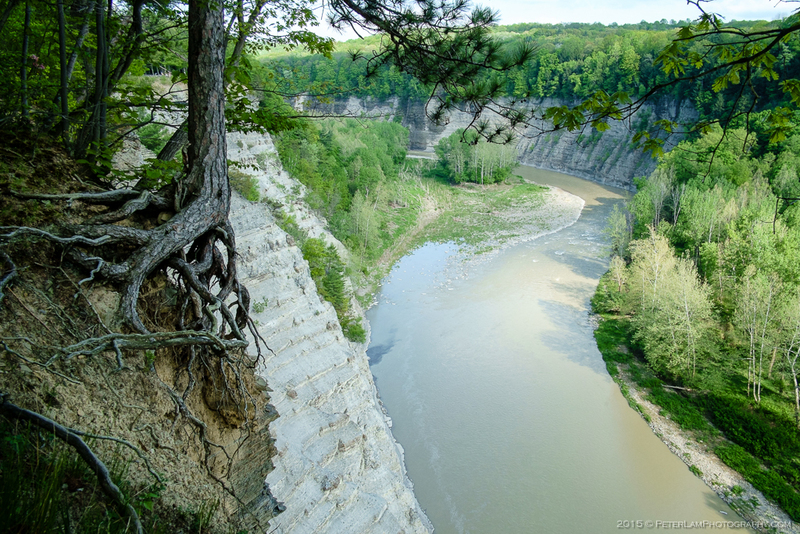 Letchworth State Park, located south west of Rochester in upstate Western New York, is an easy 1.5-hour drive from the US-Canadian border. This 24-km long park along the winding Genessee River is well worth a visit. 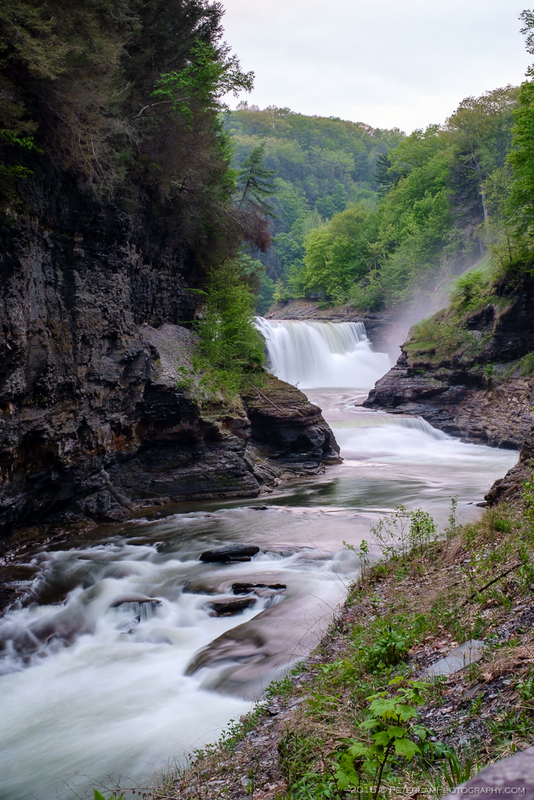 Its primary attraction is the deep gorge carved by the river as well as three major waterfalls in the area. 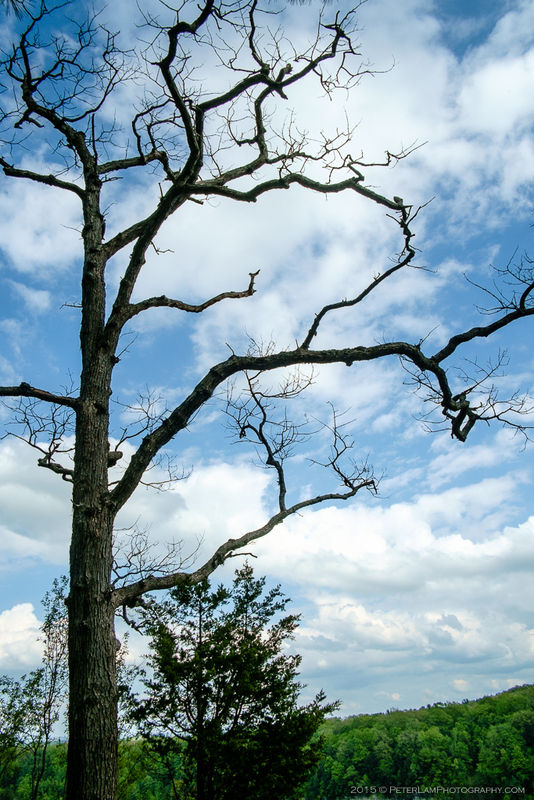 There is also a campsite and numerous hiking trails to explore amid dense lush forests. 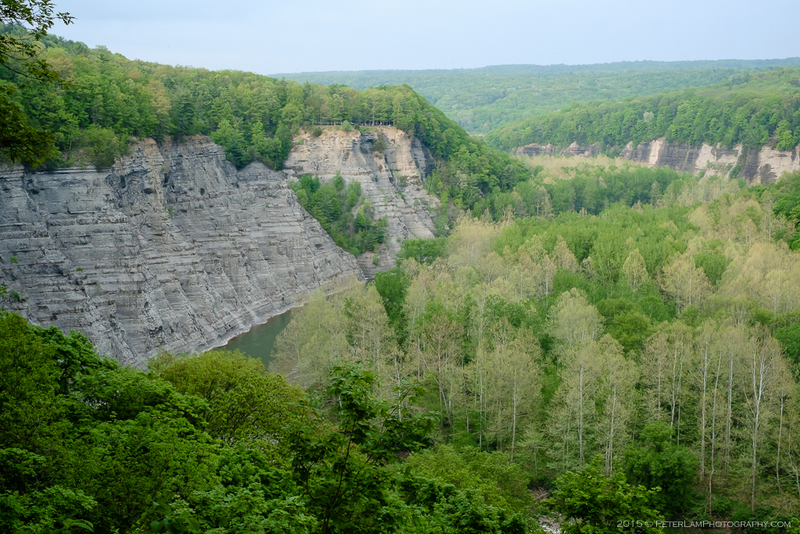 A portion of the land was originally owned William Pryor Letchworth, a wealthy industrialist who in 1906 bequeathed the property to the state of New York. 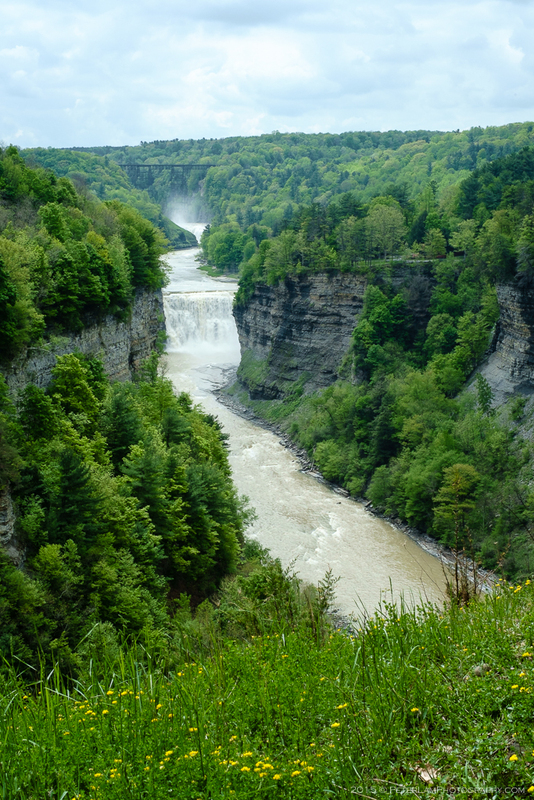 Letchworth Park is often cited as the “Grand Canyon of the East”, and was voted 2015 America’s best state park by readers of USA Today. Friends + Roadtrip + Camping + Victoria Day Weekend = Awesome! The Grand Canyon comparison may be somewhat optimistic, but Portage Canyon at southern end of the park does contain some spectacular scenery. 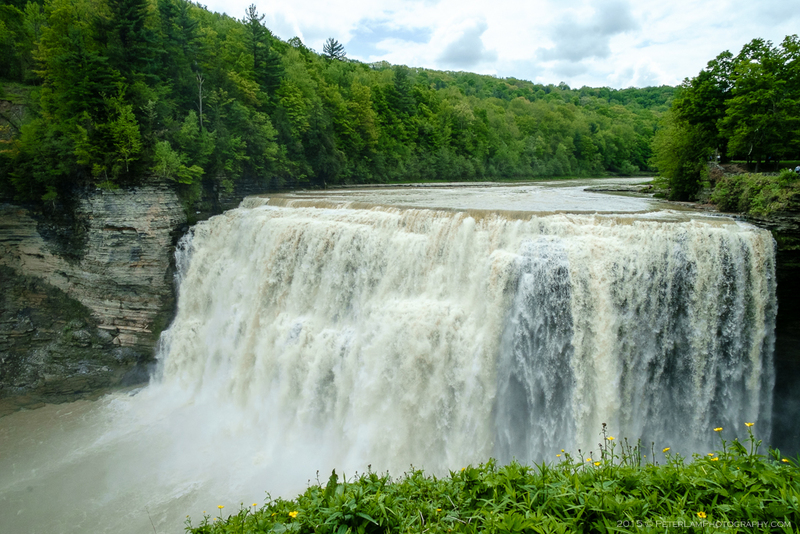 This is where you’ll find the three waterfalls – the Upper, Middle, and Lower Falls – as well as an impressive 73m tall railway viaduct that spans across the gorge and is still in use today. You can get quite close to each of the waterfalls, the Middle Falls being the most impressive. 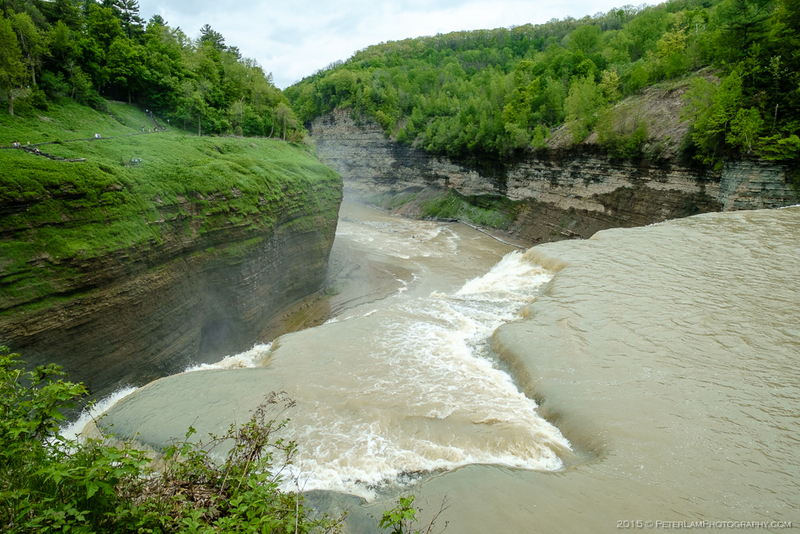 The southern park section also has many of the marked hiking trails, the most popular being the 11-km Gorge Trail that passes the majority of the scenic viewpoints along the river. 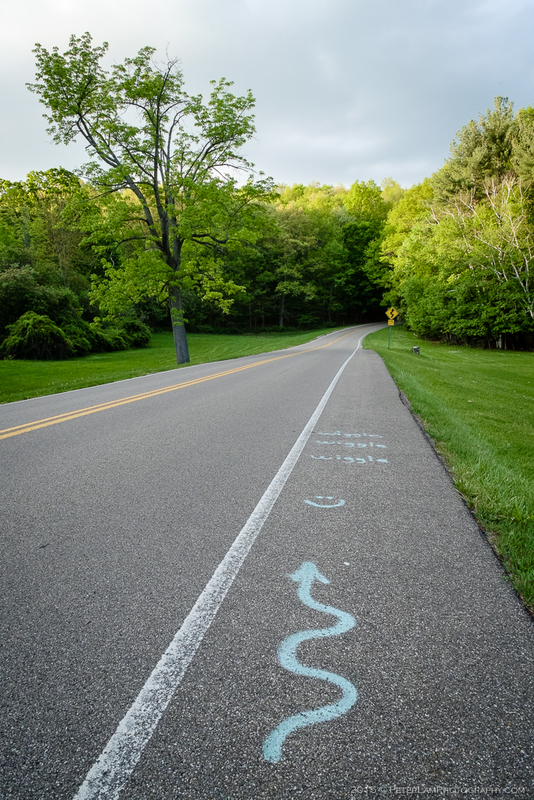 Drivers and motorcyclists also appreciate the twisty modern two lane road that runs the length of the park and provides easy access to the most best vantage points and picnic areas. At the north end of the park, the water level drops significantly and the Mt. Morris flood control dam seems superfluous, but apparently it did its job very well during a disastrous flood back in 1972. 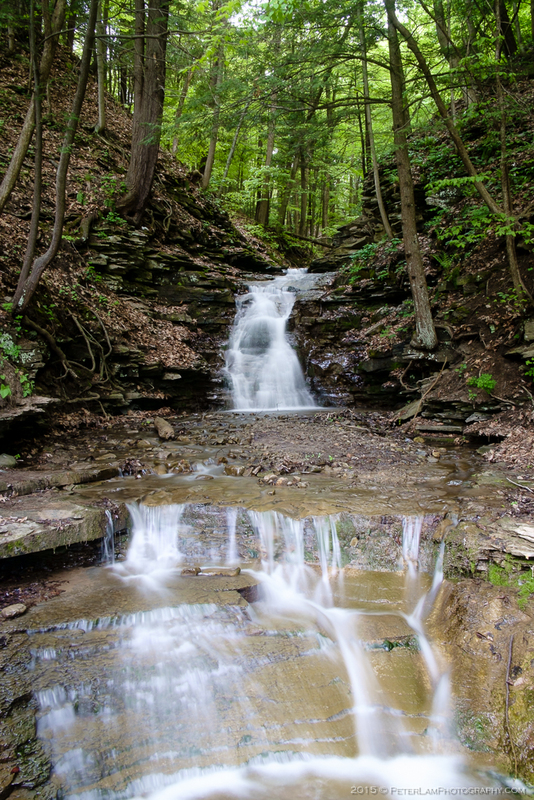 There are also fewer trails and lookouts, so the area is very serene and peaceful. 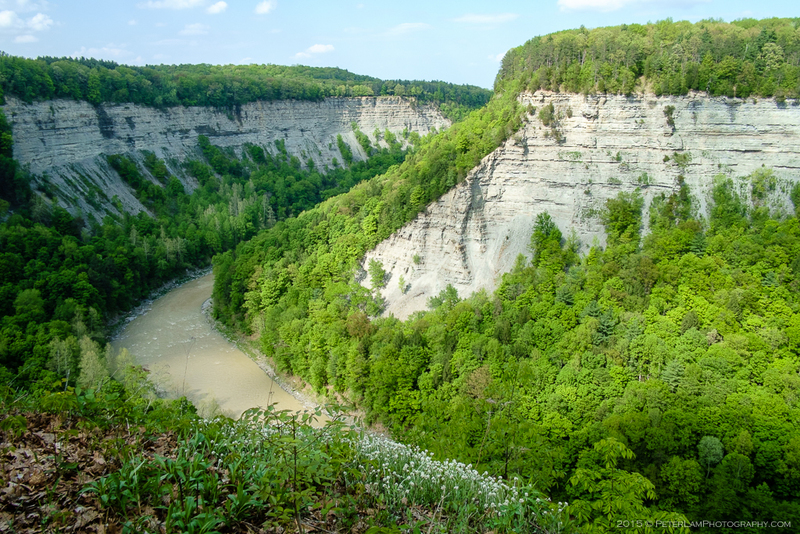 Even though we met a number of fellow Canadians in the park and surrounding towns, Letchworth seems to be a well-kept secret that is surprisingly accessible and a great alternative to the typical Ontario provincial parks, even with the slight inconvenience of border crossings. 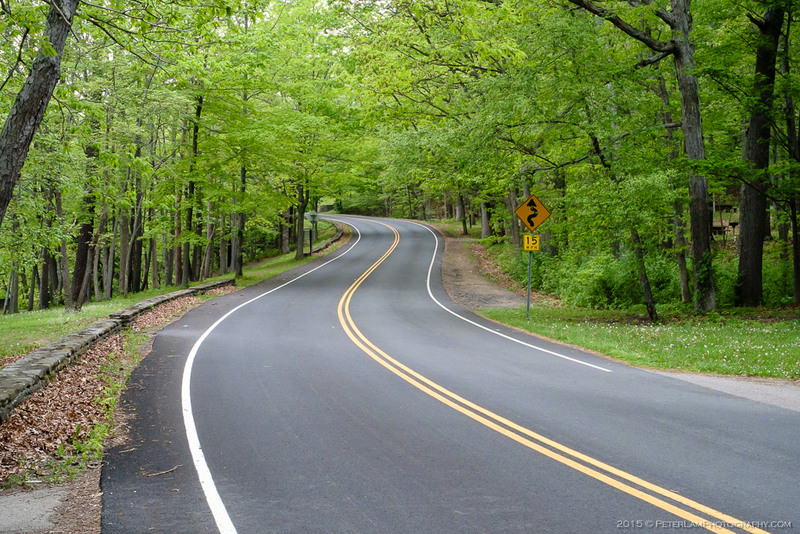 A return visit for fall foliage viewing would be an ideal roadtrip. Mt. 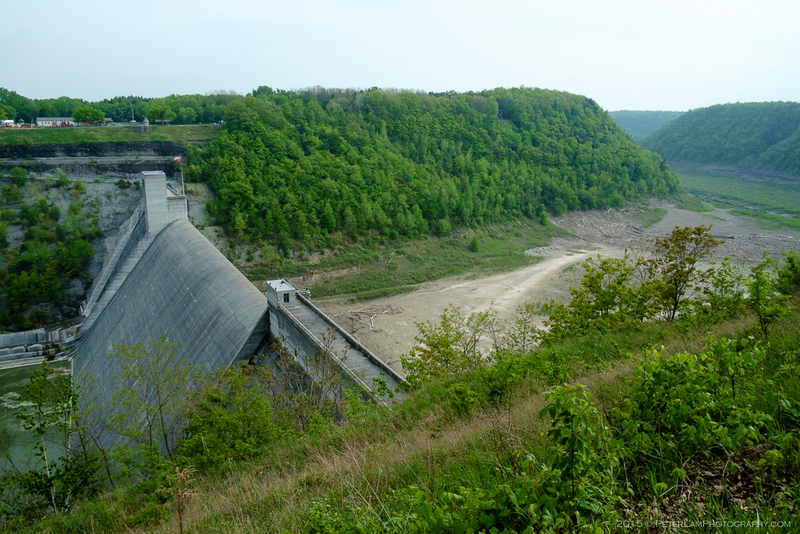 Morris dam at the north of the park. Where’s the water? 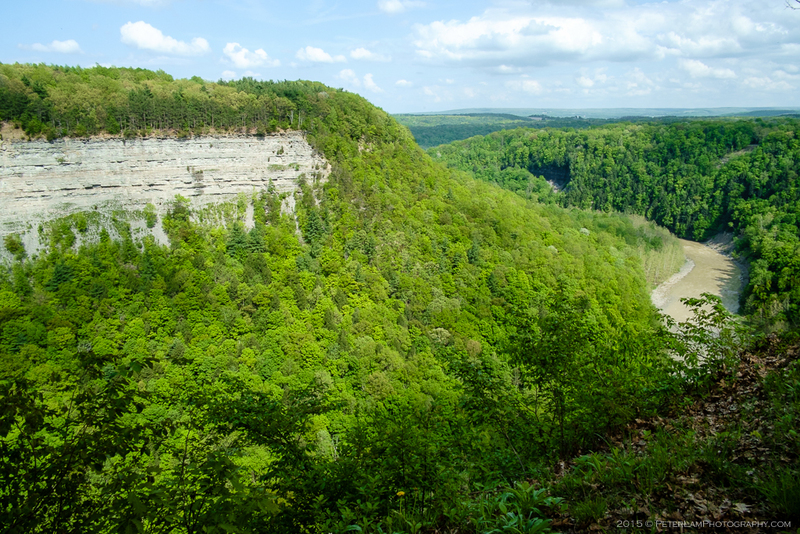 The view from Hogsback Overlook. 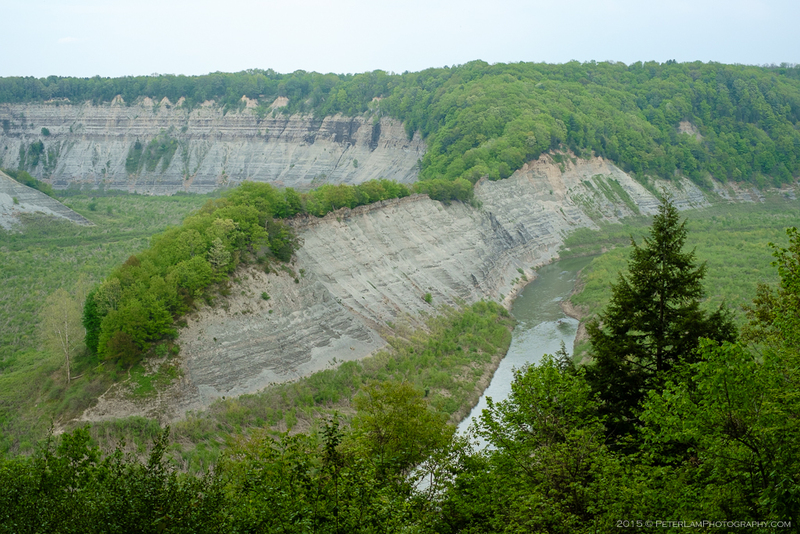 Dense forest all around, and exposed shale and limestone layers. Everything is so green. 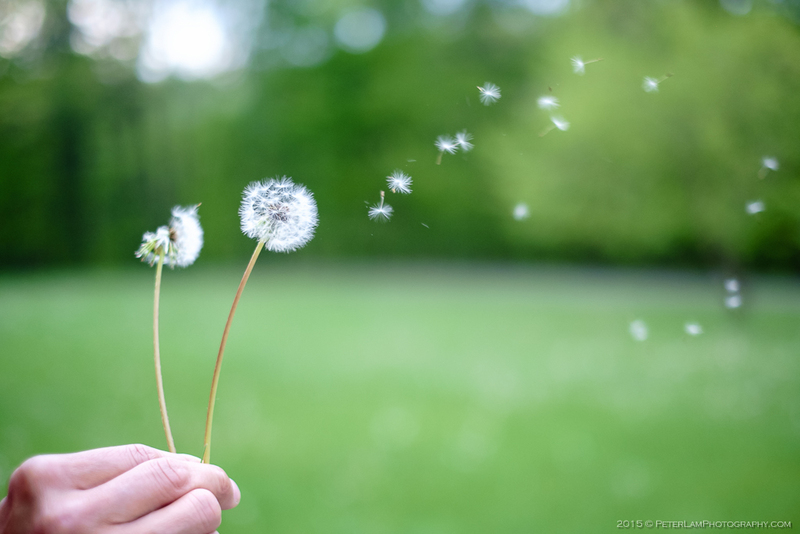 Doing our part to spread the dandelions! Park Road along the river and gorge. 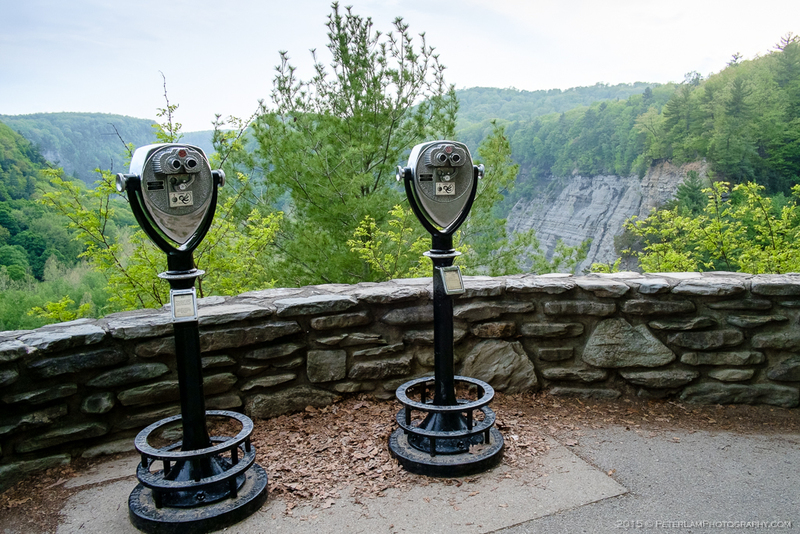 Many of the overlooks have coin telescope viewers – but behind the trees!? The Genessee River and one of its many tributaries, Wolf Creek. 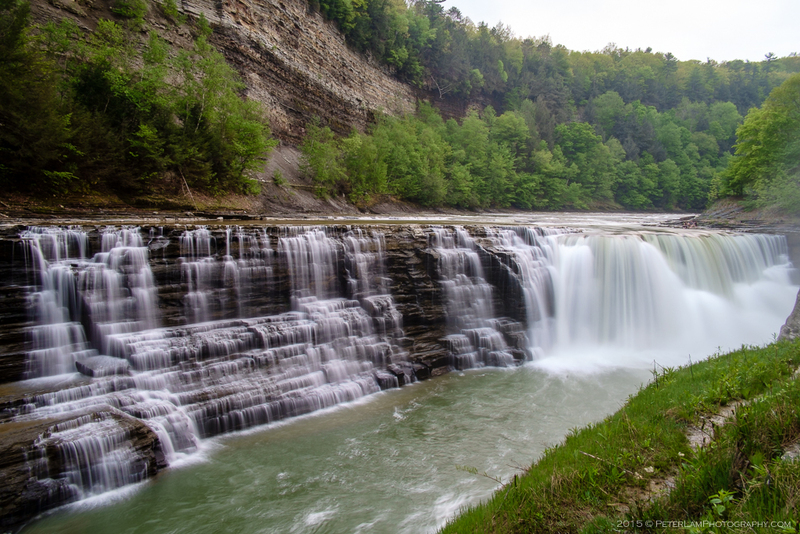 Pretty cascades of the Lower Falls. Downstream from the Lower Falls. 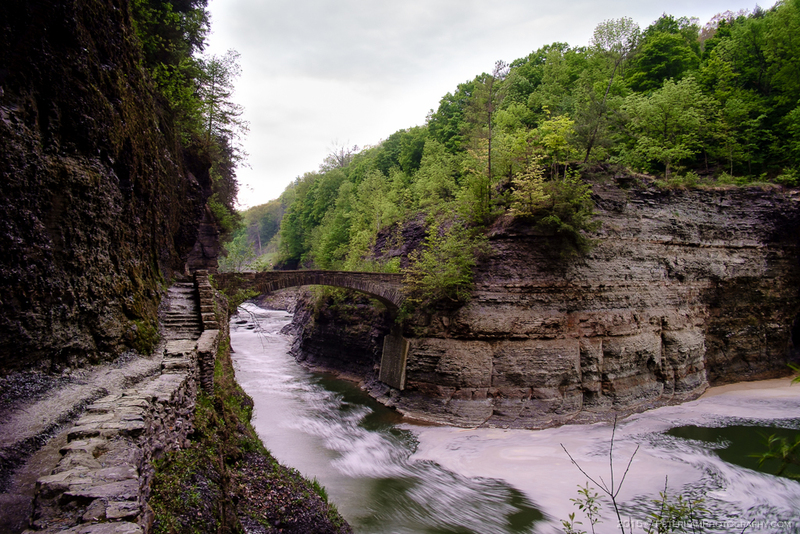 The Stone Footbridge near the Lower Falls, the only place in the park you can cross the river to the opposite bank. 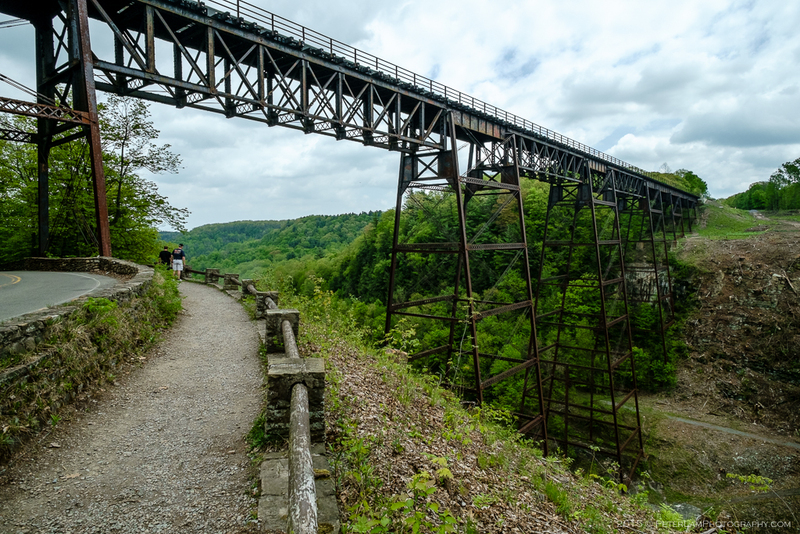 The start of the Gorge Trail near the Portageville Viaduct. 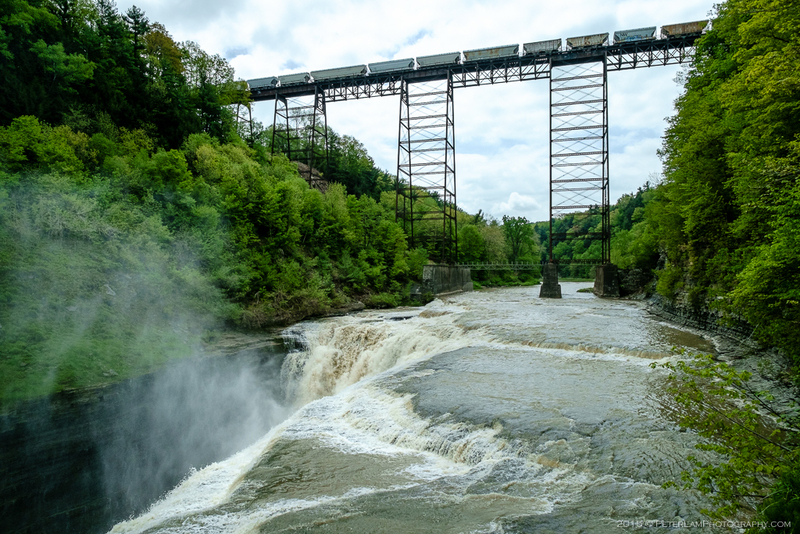 Train crossing the viaduct at the top of the Upper Falls. A stream flowing into the Genessee, near the Upper Falls. 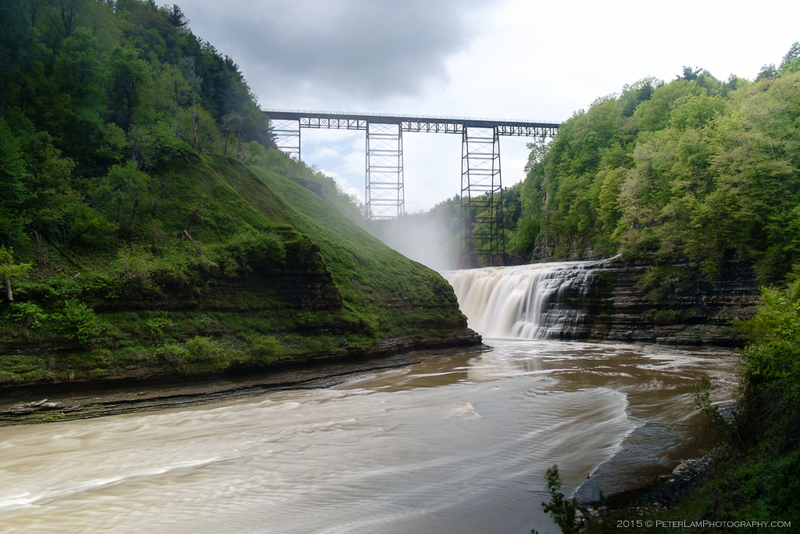 The Portageville Viaduct and Upper Falls on the Genessee River. The Middle Falls up close and personal. 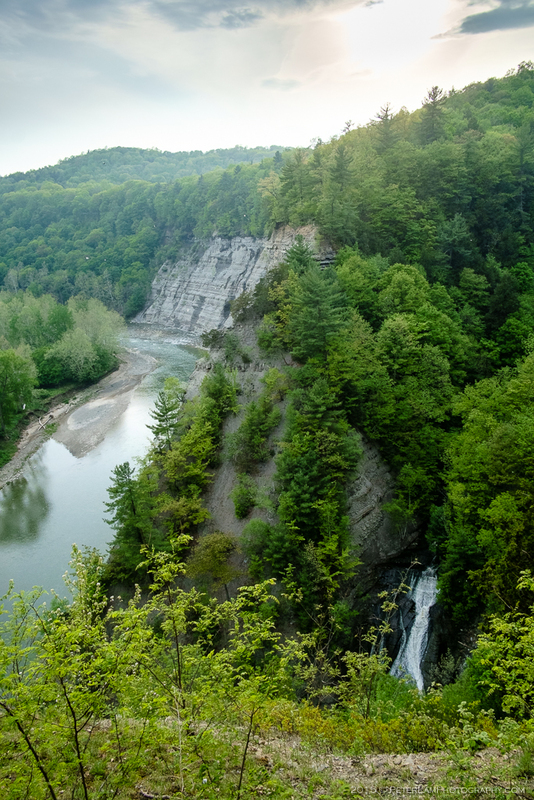 A good view of the Middle Falls and river gorge. 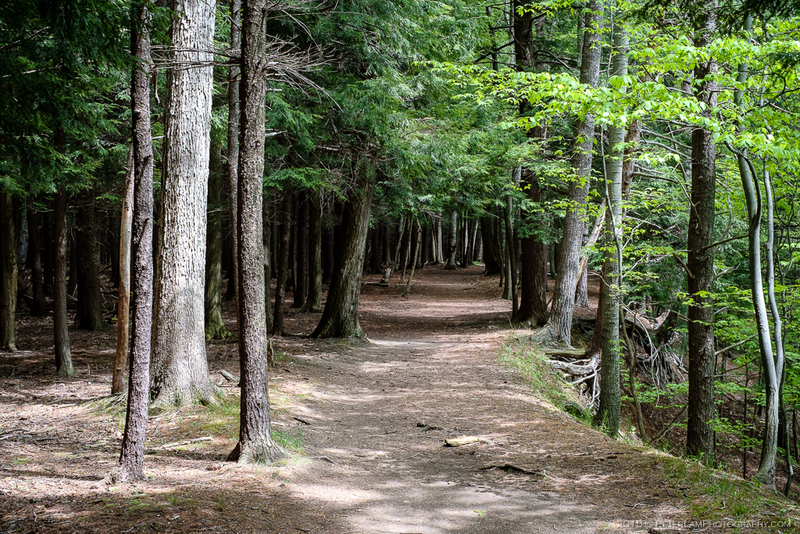 Along the Gorge Trail. 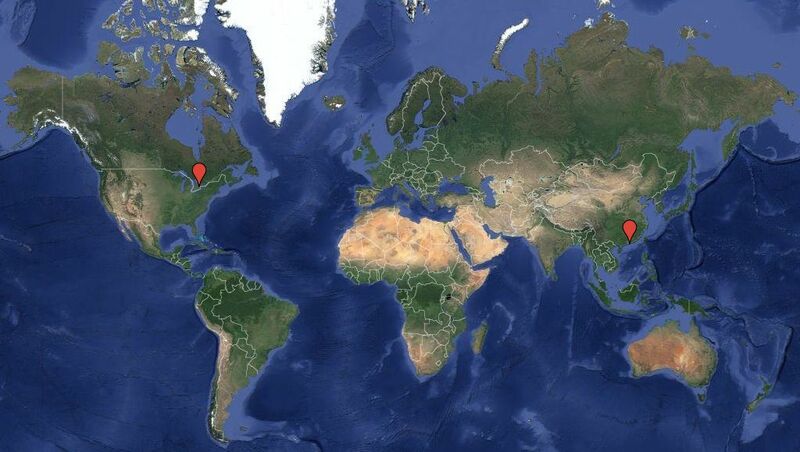 This is a 22-km round trip hike. 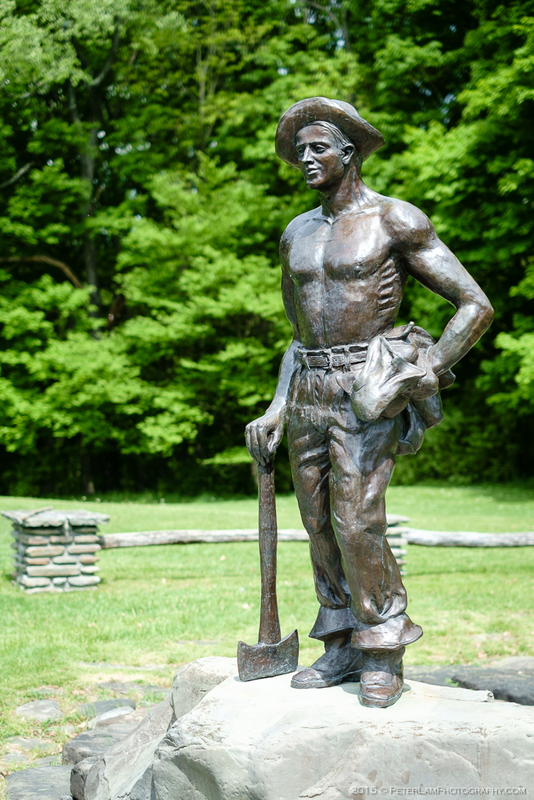 A statue dedicated to the Civilian Conservation Corps (CCC) and their contributions to the park. Further downstream, near Big Bend. A stark contrast to the greenery elsewhere. Deep gorge at Big Bend. Water levels drop significantly further along the river. Camping at the Highbanks site. Yes it took a few tries to get that shot. Thanks for the reblog!